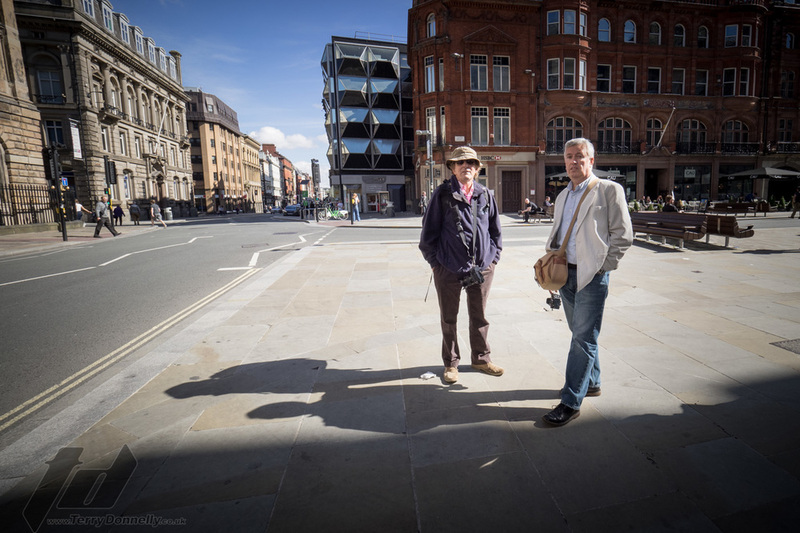 On Sunday 13th September we ran the second Liverpool Photo Walk for 2015. We met in the usual place at The Titanic Engine Room Memorial on the waterfront. We had a brilliant turnout again, with over 80 people at the start of the walk, which swelled to well over 90 with people joining up during the walk. We took a different route than the first walk we did in April, and took in more of the city, including The Town Hall, The Cavern on Matthew St, and The Law Courts. The walk was the first opportunity I had to try out my new 7-14mm Olympus lens, and I have to say, to was a joy to use. Coupled to my Olympus E-M1, it handled extremely well. So back onto the walk, we took in some great architecture, had some good opportunities for street photography, and also some candid portraits. 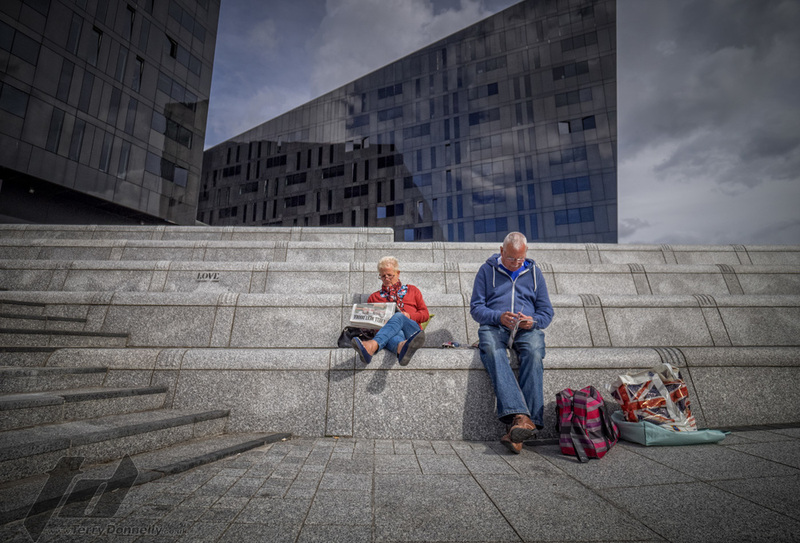 Back at The Pier Head, the photo opportunities were endless, striking architecture, lots of people, canal boats, it really is a great area for photography. The main reason why we do these walks is to encourage people to get out from behind the computer, and meet up with existing friends, and also to make new friends. By meeting up and sharing the love of photography, and sharing knowledge and ideas, we all grow as photographers. Regardless of experience or knowledge, there is always somebody that knows something others don't, and sharing knowledge with each other is the way it should be. I must say a big thank you to everyone that came along today, it really was a pleasure to be in the company of like minded people, enjoying their photography, and with such a fun and light hearted atmosphere. For more information on future Photo Walks and training, please visit the links below and like the pages where available. Thank you everyone for a great day of memories, and images.